Thank you to Contract for including Houndstooth by Sara Baldwin for New Ravenna Mosaics. To connect with Contract on Facebook, click here and follow @contractmag on Twitter. 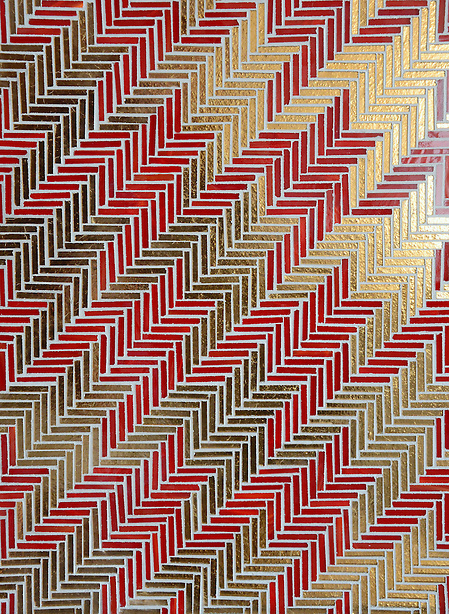 Houndstooth, a hand cut jewel glass mosaic shown in Ruby and gold glass, is part of the Houndstooth Collection by Sara Baldwin for New Ravenna Mosaics. Click here to see more of the Houndstooth Collection by Sara Baldwin for New Ravenna Mosaics and click here to see more textile inspired mosaics.